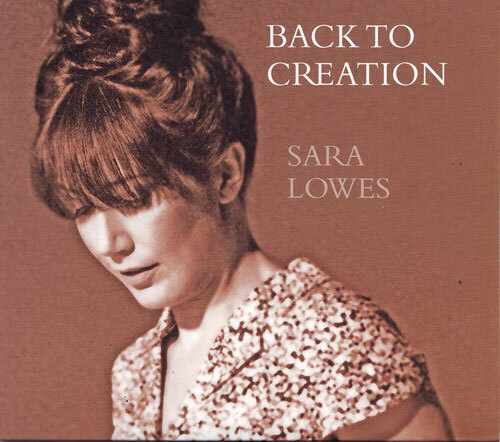 British singer/songwriter Sara Lowes has had a strong career as a pianist, playing with well-respected artists such as Jim Noir and King Creosote. On September 13th she steps into the spotlight herself, releasing her debut full length Back To Creation. The album opens with the title track, a song that opens with a beautiful piano line before slowly giving way to horns. It's a song that truly evolves before the listener. Lowes is an artist that successfully fights to urge to rely on the piano, an instrument she's been playing since age four. Horns play a key role, on songs like "Something I Don't Know" and "Bite The Pie" with its WWII USO show feel. Layered vocals and effects build a spacey atmosphere on "Night Times". Often she manages to keep things fresh by simply swapping a standard piano for an organ or keyboard. Sadly, "Vapour Trails" is not a Ride cover. It's rolling cadence and warm vocals make it enchanting nonetheless. Similarly, "Single Girl" is not a Lush cover, but rather a horn-heavy number with a rumbling, dance-inducing undercurrent. While all of the variation keeps thing interesting, Lowes may be at her best when she keeps things simple. The elegant piano and vocal combination on "You", for example, is incredibly difficult to beat. So too is "Untitled", a song that features a Feist-like quality to Lowes' vocals. Back To Creation can be feel a little bit scattergun with it's constantly changing styles, but on a song-by-song basis it is a standout. With this record under her belt, hopefully Lowes can settle into a direction. I for one am looking forward to hearing much more from her in the years to come. 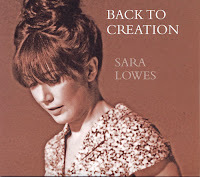 Sara Lowes plays the Mod Club in Toronto on September 8th with Rah Rah and Said The Whale. Best tracks: "Vapour Trails", "Untitled"